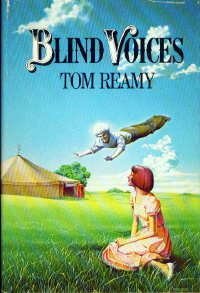 This entry was posted in Books, Forgotten Book and tagged AggieCon, Blind Voices, Forgotten book, MidAmericon, Ray Bradbury, San Diego Lightfoot Sue, San Diego Lightfoot Sue and Other Stories, The Detweiler Boy, Tom Reamy, Twilla by sanford. Bookmark the permalink. Great post and worth a repeat. Now how about a post telling us about the trivia finals? Congratulations on winning big with your trivia team!